Niagara Falls Ride in a Limo Bus! Niagara Falls is one of the Funnest and Exciting places you can go to in Ontario and what better way to enjoy this event than in a Party Limo Bus! Our company provides you with the best Party bus services from Toronto to Niagara Falls and back to Toronto! 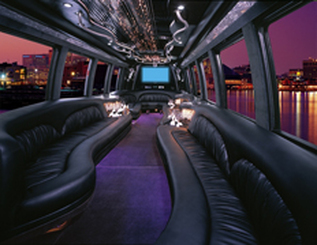 Party Bus Toronto VIP is here to make sure that all of your limo Bus needs are met and done in a professional and meek manner. With so much going on, you can rest easy knowing that transportation will not be an issue during this time. 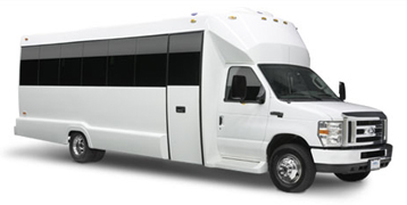 We offer top of the line Party and Limo Buses as well as Chartered and Regular Limos and SUVs. With all the fun things you will do in this trip, our services are always there on time and punctual to other places that you have to travel. We want you to enjoy your time and all the facilities our Party Buses have inside with your group, and we want you to relax and worry about more important items than about your overall transportation. This gives you time to breathe with all your worries, and enjoy a solid limo ride to and from the more important places that you have to go during this trip. With so much expense in life nowadays, you can rest easy knowing that we have the best prices available with our competitive prices. When we quote you our prices, they are final, meaning there will be no hidden cost or bills that are not talked about upfront. This allows for you to apply more money to other, more important functions. You can rest easy knowing that you will ride in style, and have the best prices available when you use our limo services. We love to treat all our customers and their group VIP, we will provide the best of service possible for you and your group. With the events of the day, we will listen intently to your needs and make sure that every detail is done with ease and satisfaction. With this you can rest assured your trip will be properly organized, have all the facilities your are looking for and maximize on the trip fun as much as possible. Call us now and see why we are the Bets Party Bus Limo Company in Toronto, or click today and see how we can make your tour the most enjoyable you will experience!.